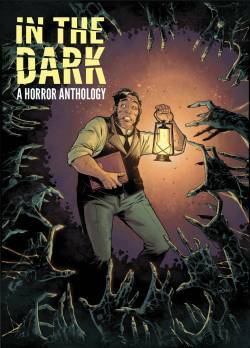 IN THE DARK is available for pre-order through your local comic book shop. It features brand-new horror comics by myself, Rachel Deering, Scott Snyder, Justin Jordan, Cullen Bunn, Duane Swierczynski, Brian Keene, F. Paul Wilson, Tim Seeley, Marguerite Bennett, Matthew Dow Smith, James Tynion IV, Sean E. Williams, Mike Oliveri, Mike Henderson, Mack Chater, Alison Sampson, Valerie D’Orazio, and many more. On a personal note, this sucker marks my return to comics after eight years away. It’s great to be back.